Dr. Suresh Advani is a renowned Medical Oncologist in India. 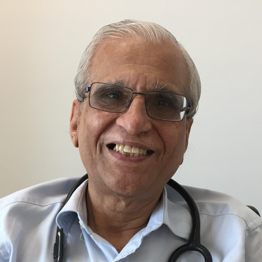 For his excellence work in Medical Oncology field, he has received “PADMASHRI” by Government of India in 2002, Indo American Cancer Congress Inc. Award of Excellence Philadelphia PA (1996), Lifetime Achievement in Oncology from Harvard Medical International (2005) and many more. International Cancer Research Technology Transfer (ICRETT) by the International Union against Cancer and visited the Fred Hutchinson Cancer Research Centre, Seattle, Washington , USA to have experience in the bone marrow transplantation procedure and medical oncology in June 1981. Fellowship of Yamagiwa – Yoshida Memorial International Cancer Study Grant of the International Union Against Cancer (UICC) , 1986.